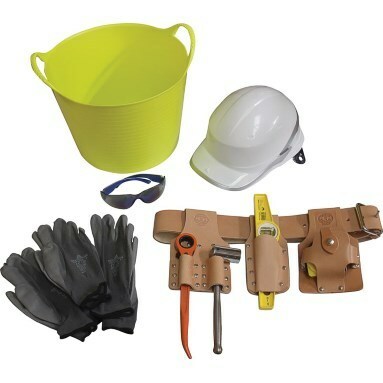 Bringing together all of our most popular scaffolders tools and PPE into one kit - all for UNDER £100! Save over 10% off the usual total price of the items! Comprises: tool belt (2" wide, adjustable up to 44" waist), scaffolders level holder, double spanner frog & large tape holder. UK tanned leather. Strong & durable. Made in the UK by Connell of Sheffield. Stabila Rare Earth Magnetic Scaffolders Level 10"